As digital native competitors boom, established international shipping services providers must embrace new technologies and offer innovative services to keep up with their customers. With the ambush of new entrants and level of disruption, international shipping services providers — particularly established, high-asset businesses — can no longer expect to be shielded from competition. Additionally, as the industry transforms, traditional rivals will no longer be the single or even the most intimidating competition. Furthermore, the technological gap between carriers and customers is huge and growing. International shipping services providers who rely on shippers’ ability to ship their products around the globe on tight agendas, or to deliver supplies from their suppliers just as promptly, are increasingly conscious of their transporters’ technological capabilities — and these companies’ opportunities for transparency and advanced analytics to monitor shipment commotion are increasing rapidly. Advanced analytics is a broad class of analysis that can be used to help drive fluctuations and improvements in business practices. 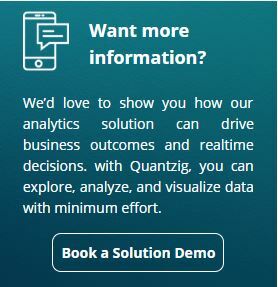 Advanced analytics techniques focus on projecting future events and behaviors, enables companies to conduct “what-if” analysis to envisage the effects of potential changes in business strategies. Advanced analytics techniques involve mathematical methods for interpreting data. Additionally, classical statistical methods and machine-driven techniques, such as deep learning are used to categorize correlations, patterns, and groupings in data sets.